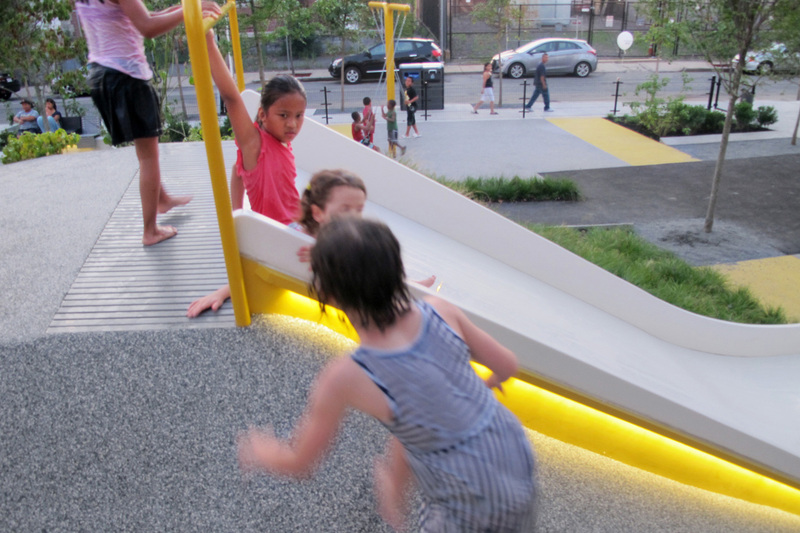 GV designed Chuckie Harris Park to include classic play elements like swings and slides. But instead of a typical play structure with clustered activities, they were layered upon a sloped and vegetated terrain. GV spread out the play structures so that circulation becomes part of the game and encourages exercise. The play structures and topography include overlapping ‘circuits’ that allow many ways of moving through this half-acre site.